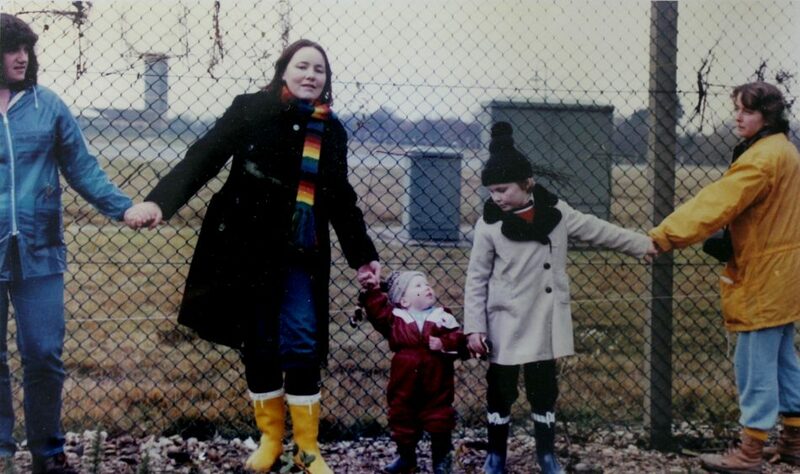 Read Sophie Brown on the gentle angry feminist energy of CARRY GREENHAM HOME. Throughout history women have mobilised their status as mothers, daughters and grandmothers to protest war and violence. 1968 marked the year global alliances were formed between feminism and the peace and anti-Vietnam movements. Fast forward to the UK in 1981, from the first arrivals ‘Women for Life on Earth’ to the thirty thousand women who formed a human chain to Aldermaston in 1983, the Greenham Common Peace Camp was a shining example of non-violent feminist action, changing both lives and laws. “The women of Greenham Common taught a generation how to protest,” noted Beeban Kidron, who made this, her first film, while living on-site with co-director Amanda Richardson. 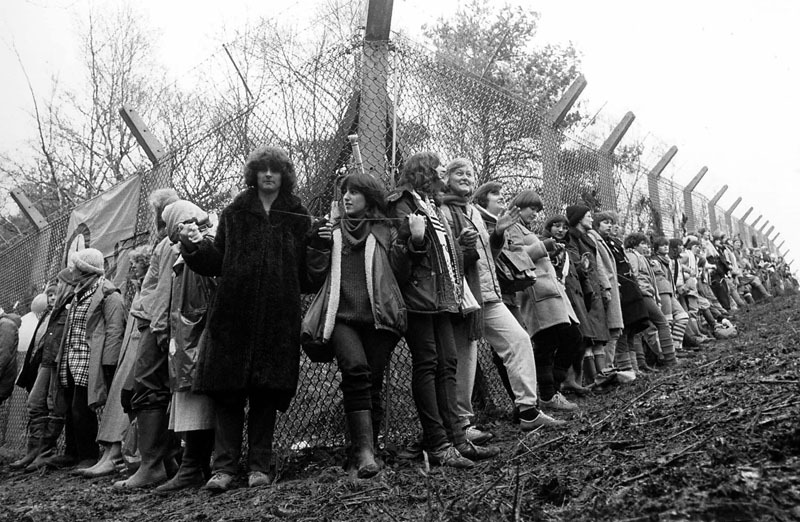 Shot on video, its depiction of the courage, creativity and humour of the Greenham women contrasted greatly at the time with mainstream media portraits, giving greater insight into their motivations, and remains a seminal work of British feminism on film. Workers’ rights were at the heart of the ’68 protests, but where was the conversation about working mothers? This film explores the lack of job prospects for Sheffield women with families to support. The women speak for themselves. Onset still from A Question of Choice by Sheffield Film Coop, UK, 1982. Courtesy of the filmmaker and Cinenova.